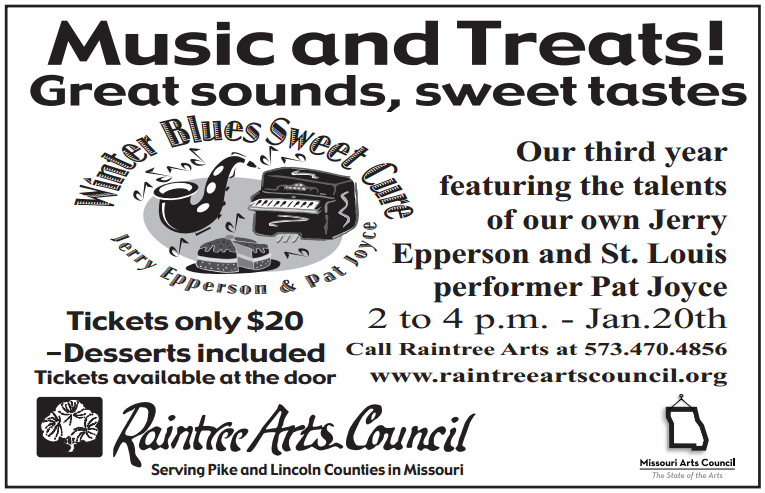 There were plenty of home-made sweets to go along with the sweet sounds of Jerry Epperson and Pat Joyce as they warmed the crowd with classic jazz tunes on a cold winter Sunday. I stopped by for a set and a few sweets myself. Then I got a few pictures to share. I hope to see you all there next year. Enjoy. Great food and live music from Jerry Epperson and Pat Joyce to bring you in from the cold. Last year was a great event, so the Raintree Arts Council is putting it on for the 3rd year in a row. It on Sunday afternoon, Jan. 20, 2013 from 2:00 – 4:00 PM. When you come in town for coffee and a sweet, the Apple Shed is the place to be on Jan 20th. Tickets are $20 at the door, which includes all coffee, homemade desserts and the sweet sounds of Jerry Epperson & Pat Joyce.